ADD FULL BOARD TO YOUR ROOM !! $28 PER ADULT & $18 PER CHILD (UNDER12) PER DAY AVAILABLE!!! Our beachfront restaurant is among the best dining in town! Our menu is spectacular offering quality food at affordable prices. You will enjoy the company of our delightful staff while taking in a sunset and enjoying the sounds of crashing waves. Family Friendly right off the Beach!!! 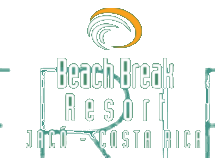 I'd like to receive emails, updates and newsletters from Beach Break Resort.